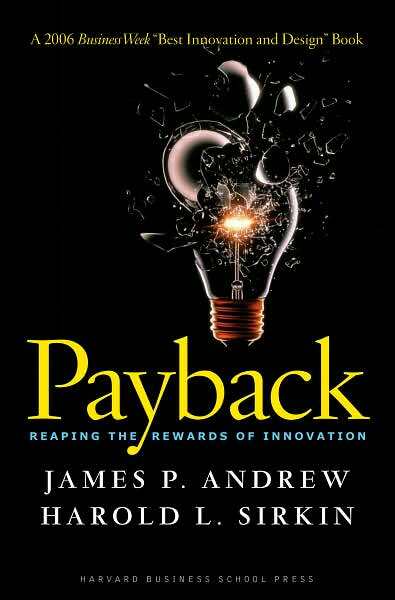 Yes, I’ve been going on and on and on about the fifth meeting of the Federal News Radio Book Club, talking about the book Payback: Reaping the Rewards of Innovation by James P. Andrew and Harold L. Sirkin. Joining us in Federal News Radio 1500 AM’s Studio 1-A was the author, Jim Andrew, and federal chief technology officer Aneesh Chopra, who was the one who suggested the book. We’ve had some great discussions that have been part of the Federal News Radio Book Club — I have the list of them below — but I have heard from a number of people that they really enjoyed the conversation… and the book. One is that there needs to be a focus on innovation, but it also can’t be merely the ‘throw it on the wall and see what sticks’ approach. There needs to be some return on the innovation investment — there needs to be payback. Always harder to stop the investment; some can take several years and it runs up the price tag; then folks say just spend some more, it will work. It’s a great question — when do you say when… at what point do you cry “uncle”? There is a lot of interesting discussion around the topic of government failure. The fact is that failure happens. Frankly, if it doesn’t, an organization probably isn’t taking enough chances. Not everything works. And if change needs to be a part of an organization’s culture, then one has to assess the risk of failure. And enable a culture where failure can be tolerated — maybe embraced. No small task in government. I’m going to re-listen to our conversation. I’d love to get your thoughts. Meanwhile, I’m working on the next Federal News Radio Book Club selection. Suggestions always welcome.